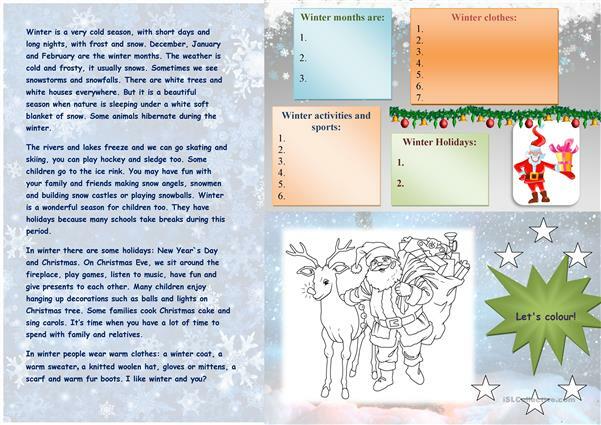 This file contains a text about winter and different tasks based on it. 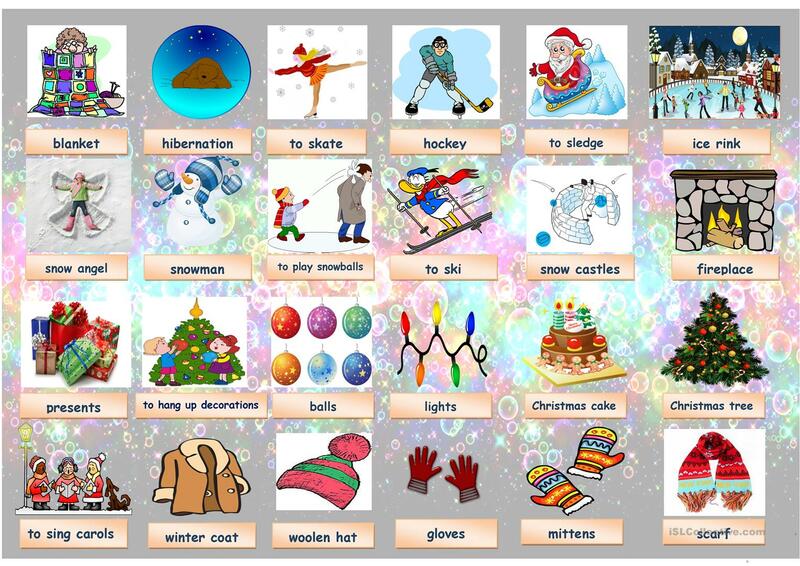 Vocabulary with nice and bright pictures is also included. 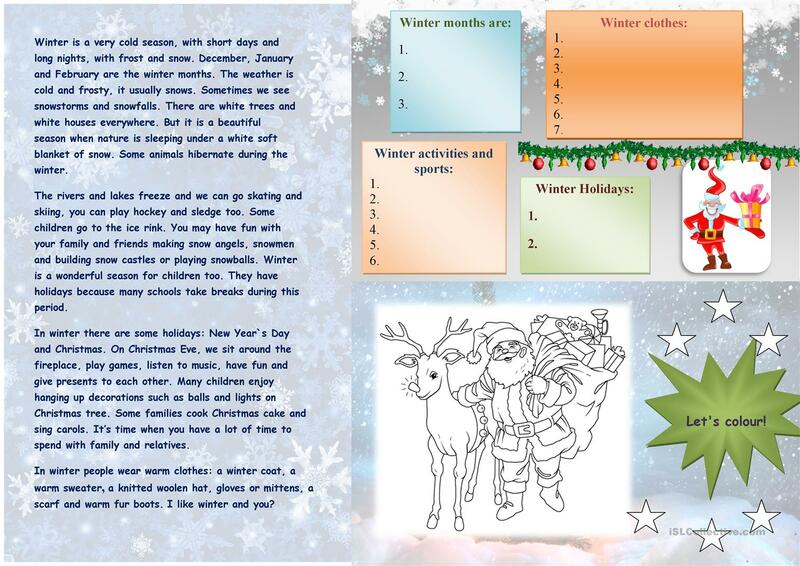 Hope your students will enjoy it. This downloadable worksheet was created for elementary school students at Beginner (pre-A1), Elementary (A1) and Pre-intermediate (A2) level. It is aimed at practising Prepositions of place, Prepositions of time, Present simple tense, Verbs: Action verbs and Verbs: Dynamic verbs in English, and can be used for working on your learners' Spelling, Reading and Writing skills. It is about the vocabulary topic of Winter.